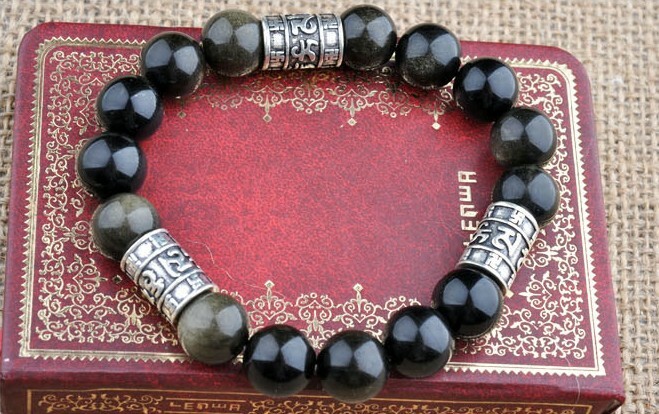 Handmade Tibetan 925 Silver OM Mani Padme Hum Beaded Bracelet Man Bracelet. 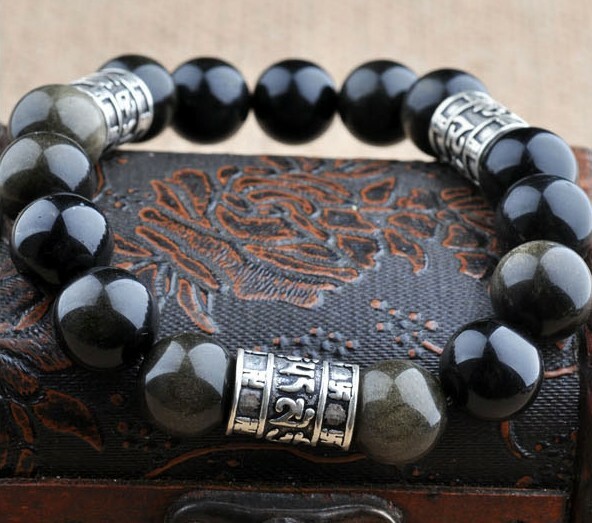 This Tibetan om bracelet was handmade in Tibetan from 925 silver and genine obsidian beads. 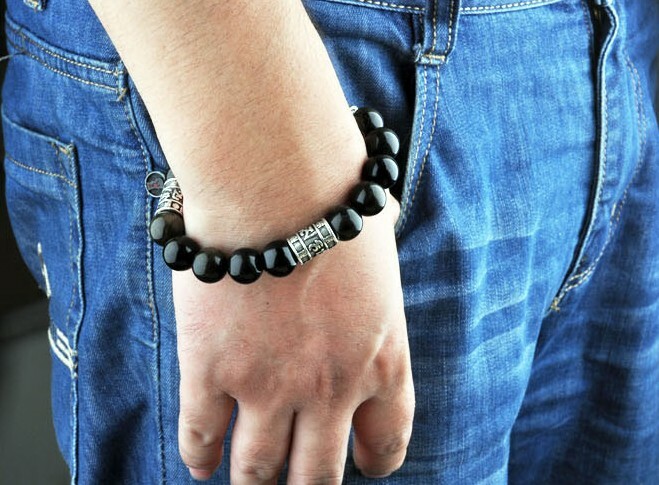 Obsidian can obsorb the negative energe from people's body, so it is good for health to wear obsidian jewelry. 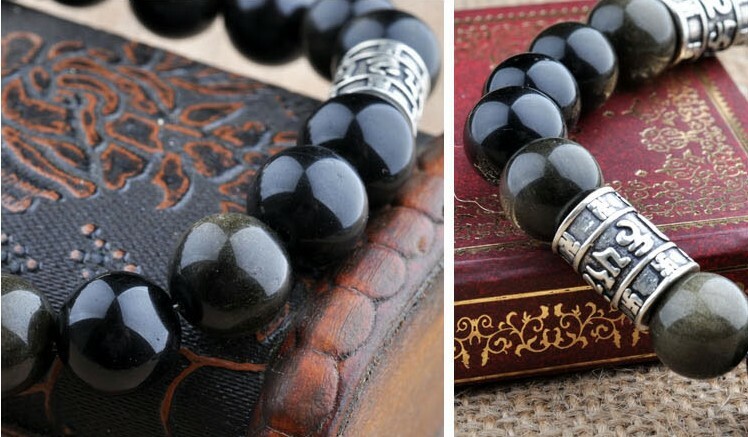 By the way, different from other gemstone, You need wear the obsidian bracelet on the right hand, not the left hand. 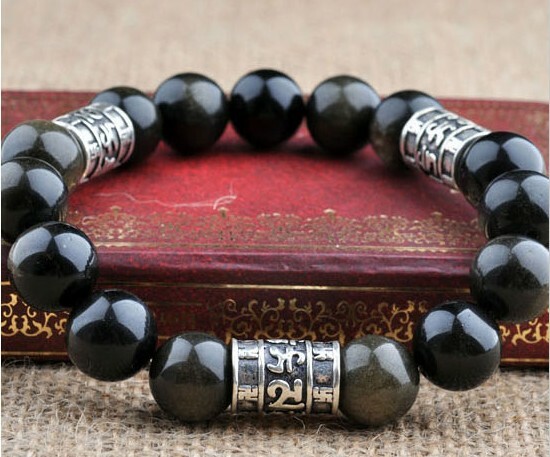 Obsidian beads size: 12mm. The bracelet is good for wrist size from 170mm to 190mm, you may leave us a message of your wrist size, then we can make it just for you.